Quote Hey there! As of 7/12/16 (today!) 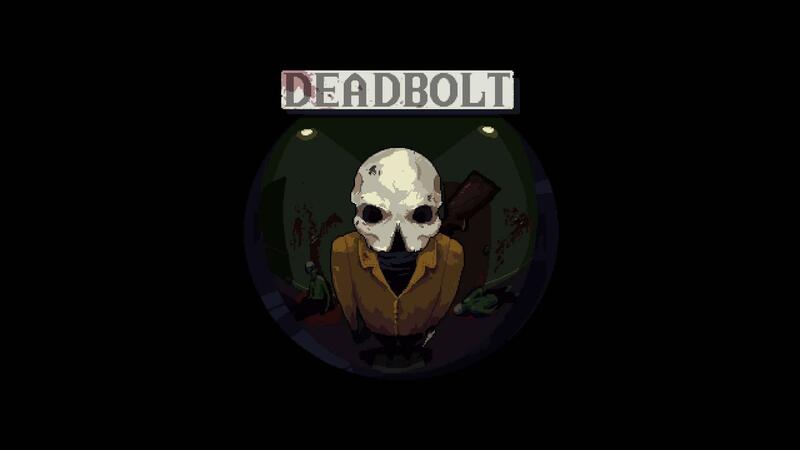 DEADBOLT is now available on Steam for Mac/Linux! The game in its entirety, along with its custom map and Steam Workshop support, is now all available on both Mac and Linux platforms. Thanks to GOL reader Steven for the tip. This game looks really cool. Seeing "extremely challenging" and "action" in the description leave me unsure if it's for me, but points for artistic direction anyway. Hopefully they make the Linux version available DRM free like the Windows version is. Just emailed them to inquire. Tl;dr: "Looks great, I'll look into it," followed by some whinging about permadeath. Dying "in one shot" sounds suspiciously like another way of saying "permadeath." I'll look at it more closely, but I'll prolly have to give it a pass. I wish I had the patience required to play permadeath games because there are a lot of cool looking ones out there like this one. But I don't. If I had any coding ability I'd make "difficulty level / checkpoint" mods for so-called "roguelikes." Games could have various levels of "difficulty" with nothing more than more or less checkpoints built into a given "level" or "mission," "permadeath" being the most difficult level. Wouldn't the market be expanded for a game that had "permadeath" but also "traditional" play options? Wouldn't it allow "get gud" folks to enjoy the challenge of permadeath, while also allow more casual players to enjoy the game. And while I'm sure there's a elitist sub-market that wouldn't play such a dual difficulty game, I can't believe that such elitists outnumber those who won't buy the game because it is "permadeath" only. Picoboom Wouldn't the market be expanded for a game that had "permadeath" but also "traditional" play options? Wouldn't it allow "get gud" folks to enjoy the challenge of permadeath, while also allow more casual players to enjoy the game. You'd think so, but not everyone feels that way. I took the one-shot-death thing to mean that getting hit once meant you'd have to start just the current level over from the start, but I'm not sure. flesk I took the one-shot-death thing to mean that getting hit once meant you'd have to start just the current level over from the start, but I'm not sure. Yeah, I can see how it could mean that too. I'll post to the forums at the Steam Community page and see what's what. it's hotline miami meets gunpoint; it takes a lot of deaths and a nice balance of planning and reacting on the fly to win. just FYI though, there's a brutal bug in the linux version right now where enemy NPCs don't use stairs. This makes some of the later levels basically impossible to complete. The devs are looking into it.